These days, homeowners everywhere are looking for cost-effective and economical home renovations to provide sustainable outcomes that the entire family can enjoy. Even minor upgrades can result in big results as a whole, making it vital for you to plan for the best approach when finally finishing those remodeling plans. While many upgrades are easy to budget for, new cabinets can prove to be a burden. Additionally, this full project requires weeks of labor and teardown, resulting in a lot of waste. Our home renovation company is here to deliver our flagship service — kitchen cabinet refacing. Detail Design & Remodeling is here to serve as your expert source for cabinet refacing in the greater Atlanta area. Our experienced home remodeling contractors rely on Old World craftsmanship to deliver beautifully unique finishes to match every home’s style. We’re available to help homeowners anytime, and are happy to answer your questions concerning our services. Today, we’ll discuss a few frequently asked questions not covered by our FAQ page. If you’re interested in learning more, be sure to contact us today to schedule your in-home consultation! How Long Will My Cabinet Refacing Last? When properly cared for, your cabinet veneers will be able to last throughout the lifetime of your existing cabinet system. 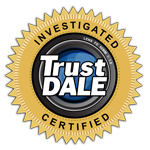 Our services are backed by industry-leading warranties, and our remodeling team is happy to assist with any issues you may find with our new system. Does Cabinet Refacing Require a Permit? For most renovations, a building permit will need to be obtained in order for the work in your home to approved after official inspections. The permitting process for kitchen renovations (such as custom cabinets) can cost hundreds of dollars, adding to the cost of additional materials and labor. Kitchen cabinet refacing does not impact your existing floor plan. Is There a Difference Between Cabinet Refacing and Refinishing? While phrases such as cabinet resurfacing, refinishing, and refacing are often used interchangeably, in reality, refinishing is a completely different process. 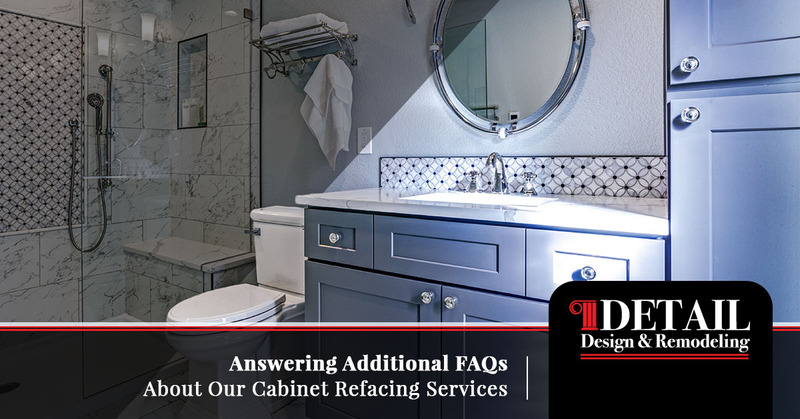 Cabinet refacing consists of changing out the fronts of your surfaces while refinishing includes sanding down and redoing the existing material. Does This Service Include Replacing the Drawers? Our facelift services are tailored to replace the veneers on the front of your existing cabinets, leaving all boxes and drawers intact. In many cases, new drawers and gliders can enhance the updated beauty of your cabinets. If you are interested in learning more about our custom cabinet solutions, be sure to contact us for assistance! Does Cabinet Refacing Reinforce My System’s Structural Integrity? While our home remodeling contractors focus primarily on the aesthetics of your cabinet fronts, it can help to know that our real-wood veneers are backed and reinforced for added structural support. Keep in mind, though, that our products are not meant to be used for repairs, and will not be able to substitute for cabinets that are not structurally sound. In these cases, our team will be able to offer personalized cabinet repairs to get your renovations back on track. Yes! Our cabinet refacing specialist will arrive at your home with our full showroom. You will be able to choose from our different wood types, finishes options, and hardware. Since this is an in-home consultation, we’ll be able to compare how the new elements would look in your existing kitchen, providing an up-close preview. Our home remodeling expert will also measure out your space and determine what materials are required. By collecting exact measurements up front, our pros are able to deliver exactly what is needed the first time. Will I Receive My Quote On-Site? Yes. By discussing your choices and measuring your home in-person, our team member will be able to print out an accurate quote to give you an immediate price for our amazing services. Moreover, our contractors will be spending time to learn more about you, your family, and your goals. This interview process allows us to create home renovation solutions that provide the absolute best fit for every home. Detail Design & Remodeling is happy to provide ideal outcomes for homes in need of ingenuitive solutions. If you’re interested in cabinet refacing in the Atlanta and are interested in learning more about this economical and cost-effective service, be sure to contact us today for complete service!